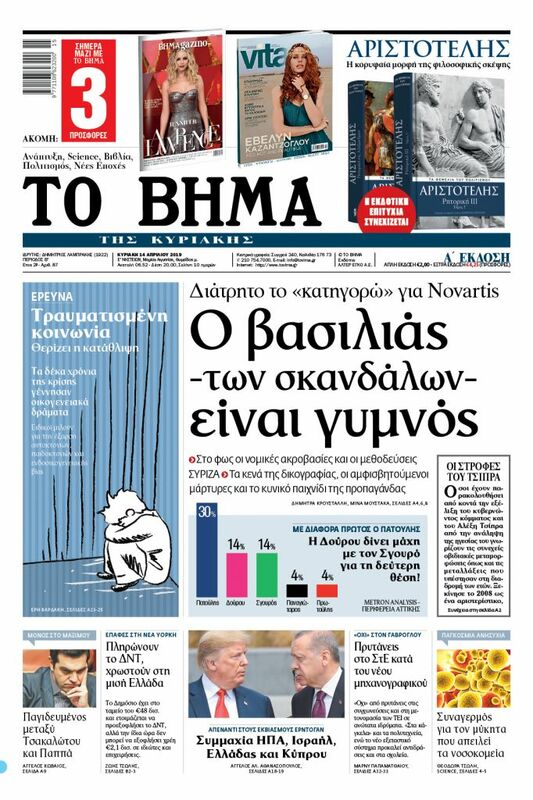 If Panos Kammenos resign only after it the Prespa Accord is tabled in the Greek Parliament, that would allow PM Alexis Tsipras to put off the ratification for as long as he believes Kammenos is useful in the government. The latest episode in the never-ending saga with Defence Minister and Independent Greeks leader Panos Kammenos’ on-again off-again threats to withdraw from the government if and when the Greece-FYROM naming agreement is tabled in the Greek Parliament came today when he addressed military brass in Larisa. Asked if he believes elections will be held in the spring or autumn, he made clear that he would prefer that they take place later rather than sooner. “I believe elections must not be held soon. The Skopje issue came to the forefront, despite the agreement we had reached with SYRIZA in order to govern together, much earlier than planned. The best thing for the country is for elections to be held at the end of the four-year term [by October],” Kammenos said. “For our part, we will do whatever is necessary to that end. As you can understand, however, there are certain issues that touch upon our red lines. As the political head of the armed forces, and due to the public position I have maintained from the start of my political career, I cannot accept staying on as defence minister and at the same time sign on to giving away the term ‘Macedonia,” he added. With all polls showing that his party has little chance of meeting the three percent threshold to enter parliament, Kammenos has placed his bets on luring a sufficient number of the overwhelming majority of voters who are dead set on scuttling the deal and who will not accept Greece approving any name that includes the word Macedonia. In Larissa, Kammenos said that he will pull out of the government if the Parliament of the Former Yugoslav Republic of Macedonia finalises the constitutional amendments required by the Prespa accord on 15 January, 2019, as planned. That was yet another shift from his longstanding assertions that he will resign only after it is tabled in the Greek Parliament, which would allow PM Alexis Tsipras to put off the ratification for as long as he believes Kammenos is useful in the government. 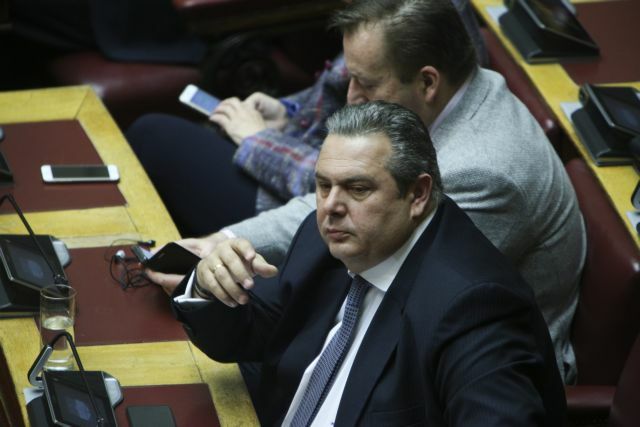 Hours later, presumably under pressure from the PM and the government, Kammenos returned to the prior position – that he will resign when the accord reaches the Greek Parliament. Asked if FYROM PM Zoran Zaev’s repeated “provocations” will affect the domestic political climate, Kammenos said he enjoys such challenges. “I am glad about these provocations because they expose the character of FYROM’s leadership. His [Zaev’s] constant and provocative irredentist statements confirm the view of those of us who said that they [Skopje] cannot conceal themselves under the cloak of an agreement that they do not intend to comply with,” Kammenos said. “I am also glad that the PM in parliament said that if these provocations continue, and if for example the non-existence of a Macedonian ethnicity is disputed, or if their irredentist conceptions regarding the existence of a putative Macedonian minority in Greece continue to be expressed, there will be no agreement,” Kammenos said. Kammenos in parliament called on New Democracy leader Kyriakos Mitsotakis to clarify whether if the agreement is ratified by this government he will pull out an annul the accord if and when he comes to power. What he has not made perfectly clear is if he will withdraw his parliamentary support for the government once he and his MPs leave the cabinet. In the past he has suggested he might do so, but in the stormy cabinet meeting that led to the resignation of ex-foreign minister Nikos Kotzias, Kammenos vowed that he will not topple the government by denying it a parliamentary majority.